Festival Hop 2017 is accepting submissions. 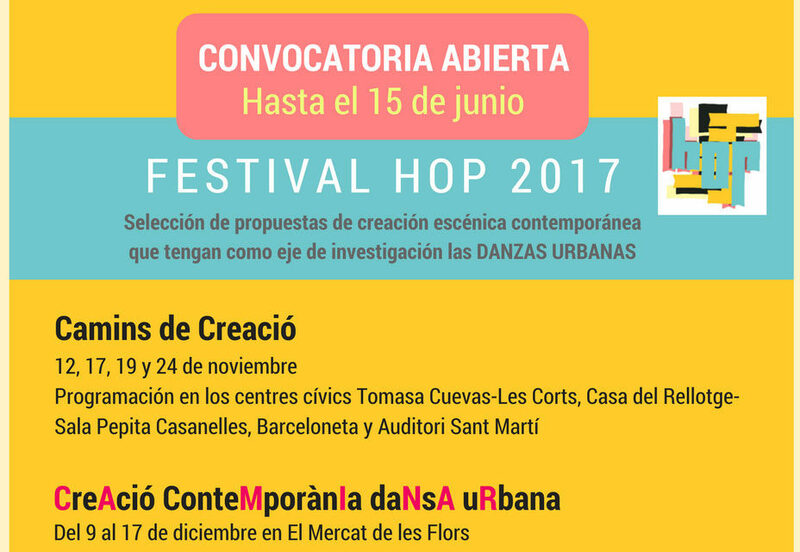 The HOP Festival was born as the result of the Urban Culture & Dance Gathering Sessions (Encuentros de Danza y Cultura Urbana) promoted by the El Generador for Art and Cultural Creation Association (Associació El Generador, Art i Creació Cultural) in Barcelona back in 2011. Fully consolidated by now, it promotes and stirs contemporary scenic creation for urban dances. 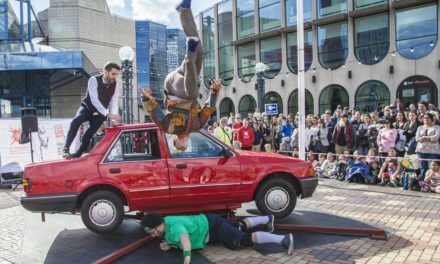 The festival is a platform for research, creation, exhibition and diffusion, one that urban dancers have as a meeting point to be able to develop and exhibit their artistic works. 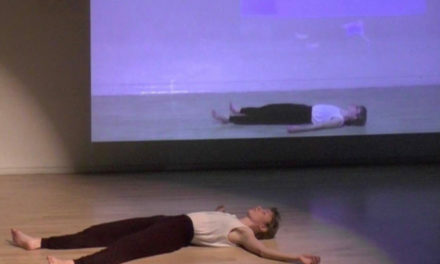 In the same way, public, programmers and managers have it as a point of reference to visualize the current state of the scenic creation for urban dances. For four years we have been hosting the Scenic Creation Contest for Urban Dances, this being the tool to exhibit and encourage the scenic creation among dancers who, up to 2016, had built, using the urban dances, their basic language of work. 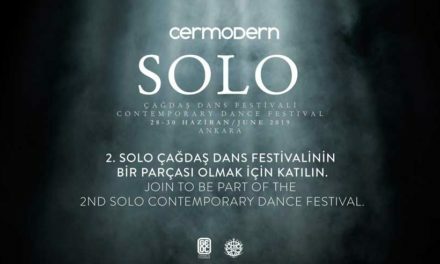 For 2017, aiming for the professionalization of the festival, as well as of the presented pieces and the participant artists that regard the HOP Festival as a meeting point to show their creations, train themselves, dialogue with other dancers and grow as artists, we have decided to take a step forward. On that note, we abandon the contest format and we move to a planned programme of pieces, which, along with workshops, round table discussions, creativity labs and more, will configure the whole programme of activities that will shape the festival’s new format. The new format will have two parts: On the one hand, we will have CAMINS DE CREACIÓ, which will contain the programme supporting creation and exhibition of pieces in collaboration with the different civic centres. On the other hand, and in collaboration with Mercat de les Flors, we will hold an international programme focusing on the contemporary creation of urban dances. Both projects are interrelated and the pieces selected for CAMINS DE CREACIÓ may have a space within the programme at Mercat de les Flors as well, ultimately leaving that decision on the organization’s hands. The distribution of the selected pieces within the programming and the different spaces and dates will be sorted out by the members of the organization. CAMINS DE CREACIÓ — the final programme will take place on November at the following venues: Auditori de Sant Martí, Centre Cívic Tomasa Cuevas, Centre Cívic Barceloneta and Casa del Rellotge-Sala Pepita Casanellas. The pieces must be registered through the REGISTRATION FORM. The deadline for submission of pieces ends on June 15th of 2017. Video of the full piece using a fixed recording, to be submitted through a link on the Internet (Vimeo, Youtube, etc) which will be included in the registration form. Participating artists and company’s CV. List of technical minimum requirements for the presentation of the piece. Hi-res images that will be used to promote the pieces and the festival, as well as to prepare the promo kit handed to stage managers and the media. Guardian’s legal authorization in the case of minors. The pieces submitted without the required documentation will not be evaluated by the organization.